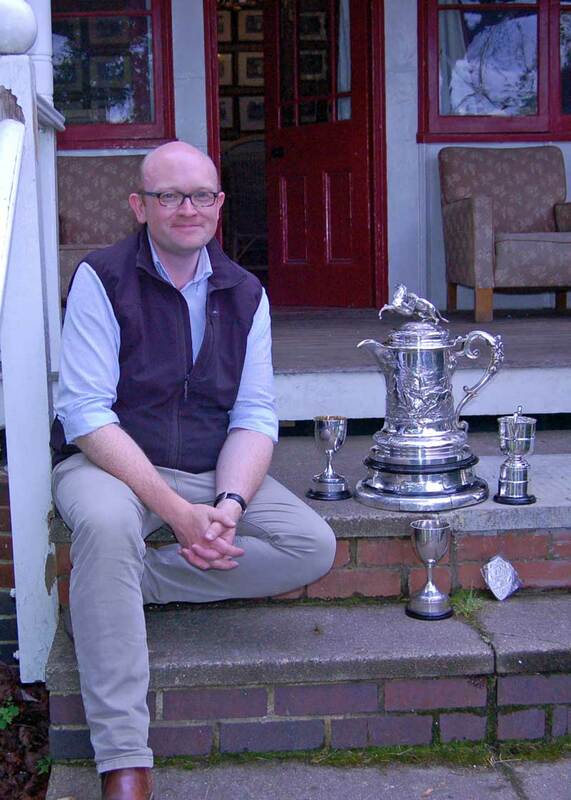 "The highlight of the Match Rifle calendar each year is the Hopton, which is shot over four days at the start of the Imperial Meeting and began this year on Saturday 9 July. With a lot of old hands, some promising new faces and every member of the victorious Great Britain team to Australia from earlier this year present, the competition promised to be fierce and of the highest quality. The first day’s shooting consisted of two competitions; the Whitehead, shot at 1000 and 1100 yards, and the Halford shot at 1100 and 1200 yards, with each range comprising 2 sighters and fifteen to count. Conditions were challenging from the outset, with up to 6 minutes of wind needed for the 8am detail at 1000 yards. In spite of this, scoring was high, with newcomer Ron Scaglione taking the Whitehead with 149 ex 150, closely followed by Mikes Spencer and Judge on 148. The top of the Halford prize list was a bit more predictable, with both Nick Tremlett and Rob Lygoe on 147.17v, Tremlett subsequently winning the tie shoot with a perfect 25.5v. If sixty scoring shots on the Saturday isn’t enough, the Sunday of the Hopton brings a true test of endurance, with another sixty shots to count, but across only three shoots; two sighters plus twenty shots at each of 1000, 1100 and 1200 yards for the Cottesloe, Wimbledon and Armourers respectively. With a strong but, crucially, steady wind, scoring in the Cottesloe promised to be high. So it proved, with Pete Seebohm of Scotland taking the honours with a 100.18v, although his countrymen Will Meldrum and Mike Baillie-Hamilton had almost started a tie shoot to decide which of their 100.17s would emerge victorious until Pete, somewhat apologetically, wandered up to the point to point out he had already won! Shooting in the Wimbledon was of a similarly high standard, the evergreen David Friend winning with a 100.14v, one V Bull clear of Mike Baillie-Hamilton. The Armourers, with 20 shots at 1200 yards, proved rather more testing, especially with a now more changeable wind (there were reports of 4 minute changes between shots). Only 21 competitors broke 90, Angus McLeod the pick of the bunch with a 95.12v. At the end of the day’s shooting, Baillie-Hamilton was leading the Hopton, closely followed by Lygoe and Tremlett. The Monday of the meeting brings respite for some, with only the Edge (2 sighters and 20 scoring shots at both 1100 and 1200 yards) counting towards the Hopton aggregate. For others, however, there is the small matter of another 30 shots in the FW Jones, which is a match for teams of four. The strong left winds of earlier in the week continued for the Edge, but some details were also treated to some fairly torrential downpours. Unperturbed, Mike Baillie-Hamilton continued his march towards the Hopton, winning the day with a 197.23v. An equally impressive 196.17v from Fergus Flanagan saw him take second place on the day, and leapfrog Tremlett for third place in the overall standings. As ever the FW Jones was a close fought affair, with the Hopton Supper Club emerging victorious, to defend the trophy after their maiden win last year and suitably honour their late President, Mr D Ogger, who sadly passed away just prior to the meeting. So, with Baillie-Hamilton leading the Hopton by three points from Lygoe, it all came down to the final day, and the infamous Albert. As is always the case, it was noticeable that competitors were behind the point earlier than for other shoots, trying to gauge conditions for the only shoot in the Hopton for which sighters are not permitted. Thankfully the wind on Tuesday was still coming from the same direction as it had been for the rest of the week. Less thankfully, the downpours of yesterday had become heavier and more frequent. That some details remained dry was almost wholly due to the intervention of our new Chief Range Officer, John Miller, who has been quick to get into the Match Rifle spirit, and delayed a number of ranges until at least one or two competitors had begun to emerge from under cover. Nick Tremlett was in the lead heading into 1200yds having gone clean at 1000 and 1100yds, and he managed to hold on to clinch the trophy with a 223.23v from Mike Baillie-Hamilton in second and Rob Lygoe in third. That was more than enough for Mike B-H to win the Hopton with a score of 1002.127v, just two points short of the record for the championship, and with the highest ever V Bull count, in conditions that were certainly not made for setting records. Lygoe was second, and Tremlett’s performance in the Albert saw him sneak back into third. 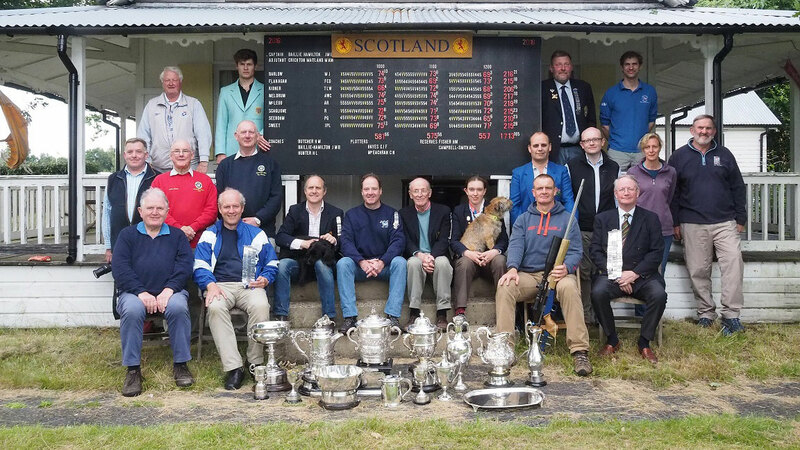 With the individual shoots out of the way, there remained the competition between the home nations in the 153rd Elcho Match on Wednesday. As with the Albert, there are no sighters allowed in the Elcho, which is shot by teams of eight, with 15 shots to count at 1000, 1100 and 1200 yards. Though England had won the last three matches, the presence of a swathe of Scottish blue at the top end of the Hopton suggested that there would be some serious competition for the Elcho shield. In line with Match Rifle tradition (if a day late), the wind that had been very strong and from the left all week was coming in from the right as teams arrived to the point, and began to fishtail early on. Wind zeros became a topic of discussion rather quickly. After 1000 yards, England had dropped only six points, overcoming a rifle malfunction on the way, and were leading by 13. After 1100 yards, that had extended to 27 from Scotland, followed by Ireland and Wales. At 1200 yards the English coaches, making judicious use of the time allowed, made light of the challenging fishtail winds. That saw England win with a record score of 1755.203v, with Scotland second on 1713.166v, ahead of Ireland on 1712.171v and Wales on 1671.143v. All then retired for Pimms and strawberries at the prize giving, where we were once again delighted to welcome the Earl of Wemyss and March to present the Elcho Shield, a trophy first presented by his great-great-grandfather some 150 years ago. The final hit of the Match Rifle week was on the Thursday, when teams of four from Oxford and Cambridge universities squared off against each other in the annual Humphry match, which follows a similar format to the Elcho. After three hard fought ranges, Cambridge emerged victorious, with Michael Boucher setting a new record individual score.